As you may know, those stories concern the adventures of Captain Jack Aubrey, an officer in the British Navy and his particular friend, Dr. Stephen Maturin, during the early part of the 19th century. In addition to being a physician, Dr. Maturin is also an amateur naturalist. This was a common coupling interests during the period. 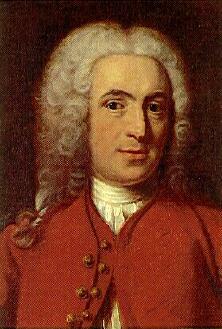 In 1759, Carl von Linne (Carolus Linnaeus) published his plan for the classification of all life on the planet. He proposed a two word Latin name and classification into kingdoms, phyla, etc. The scientific community soon took up his system, and the great effort began of trying to identify, describe, and classify all the life forms on the planet. This in an immense task; in fact it isn't done yet. There were few professional naturalists at that time, at least in the sense of earning a living from science: Linnaeus was a professor of medicine; the great Georges Cuvier was the director of museums in France. Some men of private means also devoted their lives to science: Sir Joseph Banks, Alexander von Humboldt. In an effort to understand the natural world, all help was welcome. Many members of learned professions (clergy, lawyers, and doctors) like Dr. Maturin, because of their intellectual training and knowledge of Latin, were able to join in this great venture of making what was in effect a database of life. As we set off, I should let you know that in an effort to include as much as possible I will not be keeping to the chronological order of the books. I will also make an effort not to include any elements of plot. So, it is on to Birds of the World, starting with the hoopoe. Come then, We don't have a moment to lose.